The artificial waves are ideal for surfing, body-boarding, stand up paddling and swimming, while guaranteeing the highest recreational quality. 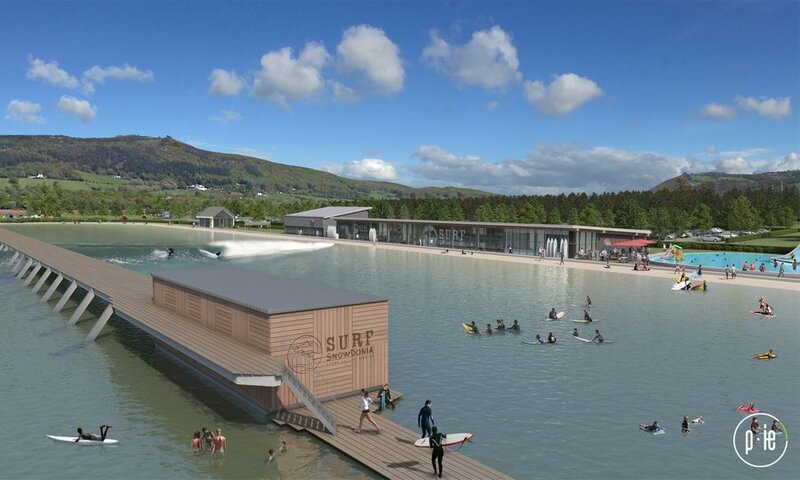 The first perfect wave will roll this summer at the “Surf Snowdonia” water park in northern Wales. The first inland surfing facility in the USA is currently being built in Austin, Texas. 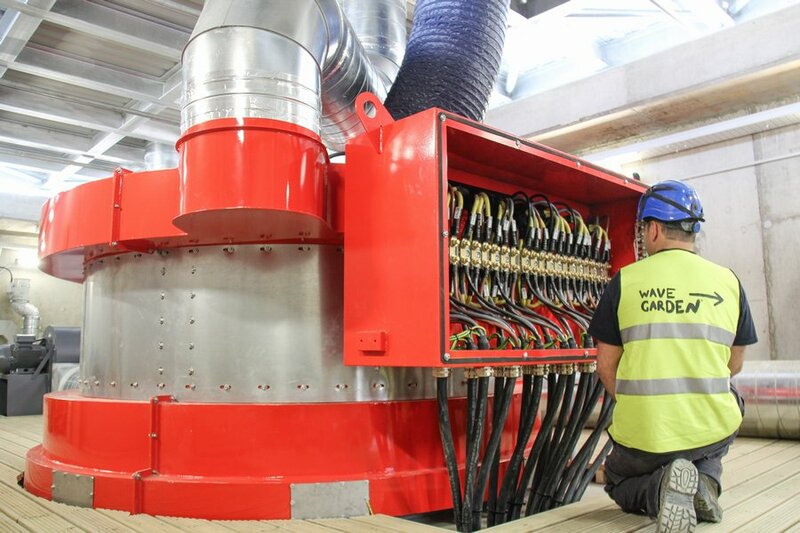 The central component of this new system is the gearless DirectDrive made by the South Tyrolean company, Leitner AG, one of the largest manufacturers of ropeway systems. The system consists of a synchronous motor working at low speed. In this way, up to 20 tons of water mass can be moved – from one end of the system to the other. Using ropeway technology, a watercraft, the “Wavefoil” is pulled through the system by the pier, thus creating a consistent swell generating waves between 0.5 and 1.9 meters high, allowing a surf ride of 18 to 35 seconds. The force and shape of the waves remain constant. It is hard to find anywhere else on Earth a surf spot with waves that break this perfectly all year long. Despite the high loads, the DirectDrive is extremely consistent. The elementary components of the drive are redundant and guarantee continuous operation. Compared to conventional systems, this results in significant advantages with respect to sustainability, economy and reliability. The drive generates very little sound to disturb surfers or spectators. The integration of the DirectDrive with the revolutionary Wavegarden technology creates the perfect branding opportunity, otherwise available only at the best surfing locations. Surfers with all skill levels can enjoy these ideal conditions. In the advanced user area, perfect waves almost 2 meters high break simultaneously, providing excellent opportunities for explosive surfing maneuvers. At the same time, rideable swells 0.5 to 1.2 meters high are generated in the beginner area, where surfers of average abilities as well as beginners can show their stuff. Consistent operation avoids unpredictable currents, and there are no hazardous coral or rocks in case of a fall. The constant wave form provides a faster learning curve than conventional surfing lessons in open water. Fans of body-boarding, stand up paddling and swimming likewise get their money’s worth at the water park. With its DirectDrive, LEITNER operates more than 30 ropeway systems in ski resorts, urban transportation systems as well as more than 250 wind power plants. Sustainability and excellent performance are in the forefront. Willkommen auf snow-goomer.net! Auf dieser Website findest du die größte Bildergalerie, neuesten Diskussionen und viele viele Daten. Die deutsche Version ist neu und wird laufend erweitert!